If you visit the tasting room, chances are you will meet Julie Myrick. She is our Office Manager who greets everyone when they come into the winery. 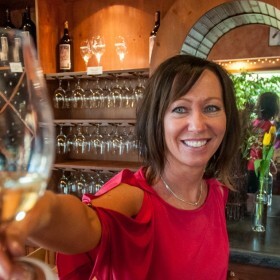 She has a wicked sense of humor and is very knowledgeable about local wines and our wines in particular. If we are not looking, she will probably taste with you!